What is Calm, Conscious & Connected? Calm, Conscious & Connected is a 9 week online course that teaches the art, practice and science of meditation. 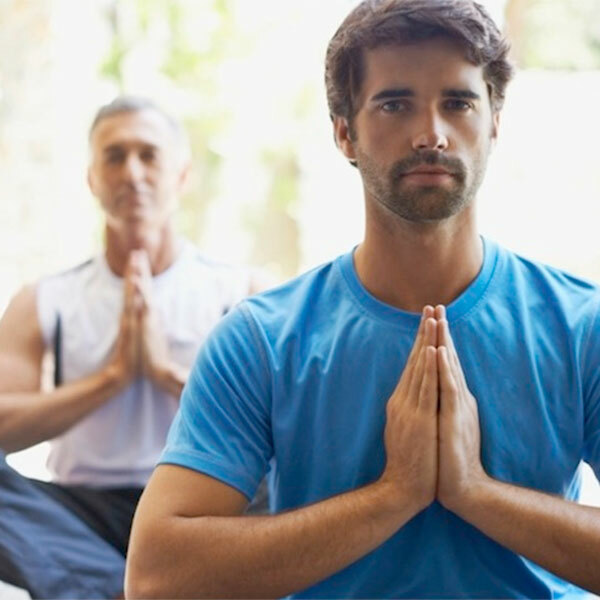 You’ll learn evidence-based meditation strategies for improving your physical health, emotional wellbeing and mental performance. Whether you’re brand new to meditation or established and ready to dive deeper, Calm, Conscious & Connected will guide and inspire you to optimize your meditation practice. You’ll learn the art of how to practice and the science to better understand how meditation works. The training is released in weekly modules and consists of easy-to-follow videos, workbooks, templates, audios and bonus resources. 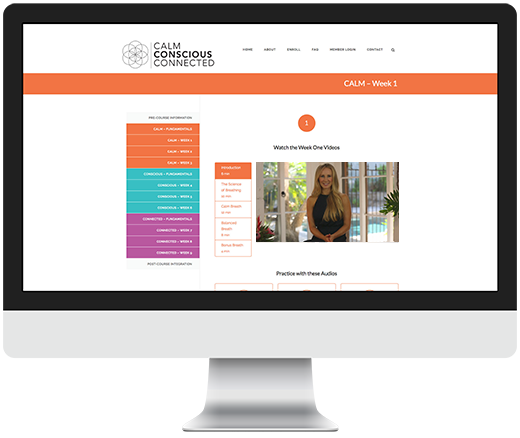 All of the training is online and contained in the private Calm, Conscious & Connected member only site. 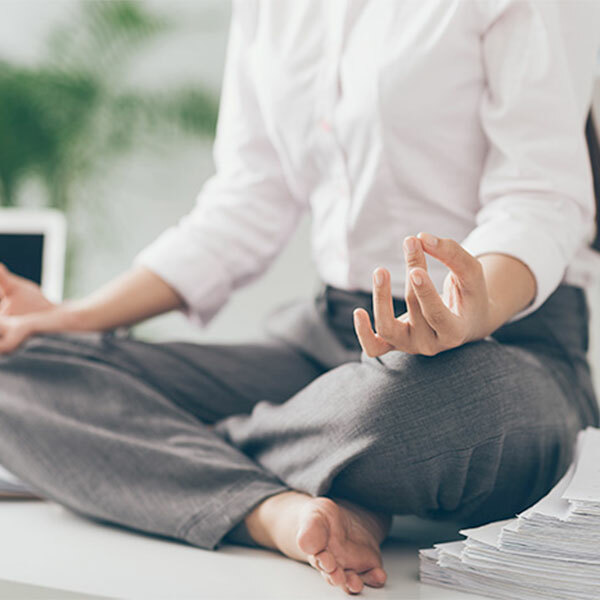 Calm, Conscious & Connected also includes an online community where Dr. Paula answers questions and offers advice to ensure members receive the highest value from their investment. It’s a means of optimizing our brains, our hearts and our lives through how we use our minds. The word ‘meditation’ refers to a wide variety of practices found throughout every culture in the world. Some of these practices have been intensively studied by researchers. All of them involve training the mind to be less reactive and less distracted or, in other words, less chaotic. Meditation is an effective tool for enhancing cognitive performance, physical health and emotional/psychological wellbeing. Who should do Calm, Conscious & Connected? If you want to learn meditation or deepen an existing practice, this course is for you. If you've never experienced meditation before then you've come to the right place. Calm, Conscious & Connected is a step-by-step approach to learning what meditation is, how to do it, and how it can help. Many busy people simply can't commit to intensive retreats or even evening workshops. If you're busy and want to be able to learn at your own pace, at times that suit you then this program is ideal for you. If you already meditate and want to deepen your understanding then Calm, Conscious & Connected is an excellent fit for you. You'll refresh the basics, learn the psychology & neuroscience, explore different techniques and cultivate a practice that's uniquely your own. Are you curious but cautiously skeptical about meditation? You are welcome here. If you like to understand how things work and if you'd like to know the research about meditation then Calm, Conscious & Connected is for you. What’s in the Calm, Conscious & Connected Course? 9 Weekly Videos (actually, some weeks you’ll get a few extra bonuses) introducing you to the technique for the week. 9 Weekly Workbooks to inform and inspire. 9 Weekly Workbooks – one for each week. These inform and inspire through exploring the art and science of the technique for the week. The Worksheets allow you to track your progress and stay committed. 9 Weekly Meditations to download. 9 Weekly Meditations for you to download to help you practice the techniques. 3 e-Books - one of each Module. 3 e-Books – one of each Module. These books teach you the psychology and neuroscience behind the techniques. Connect with each other and with Dr. Paula. You will have the opportunity to have your personal questions answered by Dr. Paula through exclusive access to the online community so you can feel confident in your practice. Members Science Library & Movie Theatre. You’ll have direct access to meditation research in the Science Library and in the Movie Theatre you can enjoy documentaries, seminars and interviews to further inspire and deepen your meditation practice. (b) the three major ways in which meditation changes our brain and shapes our mind. The first stage of meditation or we could say the foundational requirement for meditation, is all about getting calm. Simple relaxation is one of the first benefits we experience when learning to meditate. In essence, it’s about lowering stress and tension and activating our parasympathetic nervous system. Within the brain the main regions that relate to getting ‘Calm’ are found within our limbic system – an area very deep within the brain and from an evolutionary perspective, very old. In the Module 1 eBook you’ll learn about the limbic system and become an expert on understanding stress – our number one nemesis to getting Calm, Conscious & Connected. It’s here that we enter into the core of meditation. We have over thirty years of research into how meditation affects the brain and well over a thousand published peer-reviewed studies. In Module 2 we explore different forms of meditation. We’ll cover the neuroscience of how it actually works, understand why it’s so good for our brain and wellbeing and learn what psychologists know about how to use it. In the Module 2 Bonus ‘Meditation Fundamentals’ eBook and video series we’ll also explore some of the philosophy and big open questions surrounding the topic including questions like “what is a mind?” and “what is the relationship between brain and mind?”. Learn: The History, Practice and Science of Mindfulness. Learn: The History, Practice and Science of Mantra. 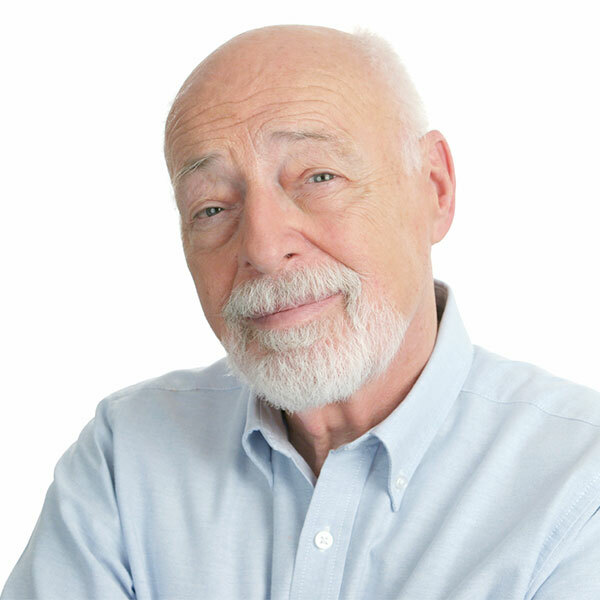 Learn: The History, Practice and Science of Open Awareness. If Module 2 is the core of meditation then Module 3 is the heart. In contemplative traditions, this third aspect of meditation focuses on enhancing one’s sense of connectedness within oneself, with others and with life. That’s why, in the Module 3 Brain Basics eBook you’ll learn about the neurobiology of empathy, love and compassion. The research on these topics is relatively new and it’s only been in the last decade that science has begun to explore how contemplative practices designed to cultivate compassion and connectedness affect our brain and behaviour. Interestingly, the findings suggest that these techniques activate quite unique areas and networks within the brain. Learn: The Science of Empathy and Compassion. Learn: Interconnection: Science and Philosophy. Practice: Bringing Meaning and Purpose into Meditation. Learn: Meaning and Purpose: The Science and Art. In Week 10 you’ll learn how to integrate all of the practices you’ve learnt during the course. You’ll complete the course with a meditation practice that you love as well as strong understanding of what meditation is and how it works. This program will have equipped you with tools, practices and insights to expand your health, happiness and connectedness to others.